This Bath/Shower Mixer is designed to be wall mounted, the mixer is thermostatic allowing the user to control the temperature from the bar valve. 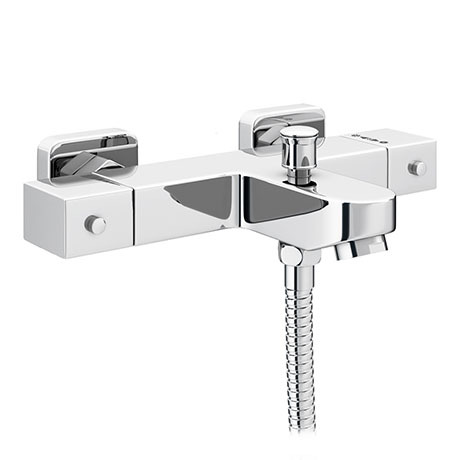 The valve is designed and manufactured by leading bathroom brand Ultra, the valve is complete with a diverter to control function between tap and shower. The outlet connection is located on the bottom/Base of the valve. The item came timely. It was easy to install. Some guests find it strange, but it is in fact easy to regulate the temperature. Very happy with the purchase. I don't think one can find a better deal for less.